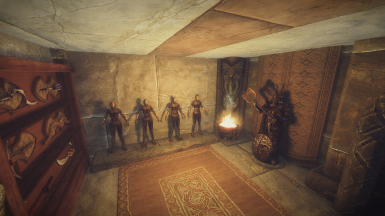 A small vault in the Throat of the World for storing away all those sketchy arcane objects in a safe location away from innocent people and your family. Only accessible with Clear Skies shout. 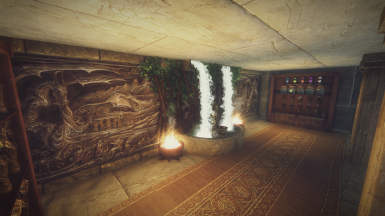 You can use the scripts and displays as long as you credit the original creators, don't charge for the mod and download the original assets. 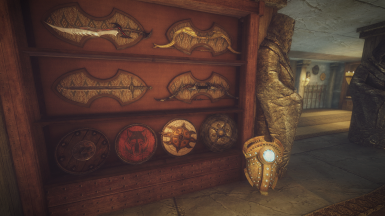 Modder's Display Compedium by MrDanSG1 - http://www.nexusmods.com/skyrim/mods/62732/? 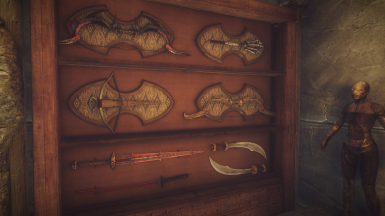 Original display resource by Skyrimlazz - http://www.nexusmods.com/skyrim/mods/59596/? 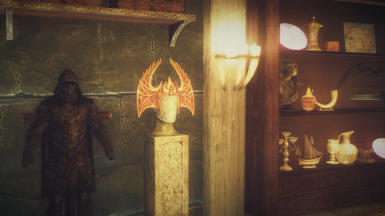 Noble wallshelf by mrpdean - http://www.nexusmods.com/skyrim/mods/41645/? 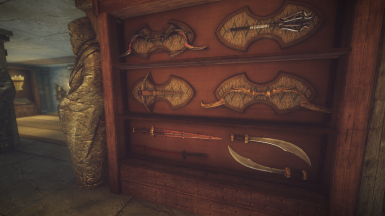 Hook by The_Funktasm - http://www.nexusmods.com/skyrim/mods/24883/? 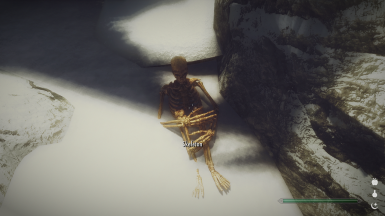 Vicn for the sitting skeleton - http://www.nexusmods.com/skyrim/mods/65134/? 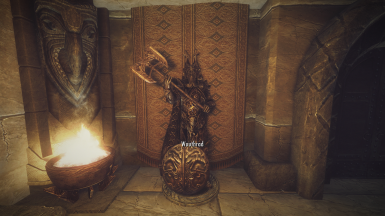 Noble furniture texture from Langley - http://www.nexusmods.com/skyrim/mods/26269/? 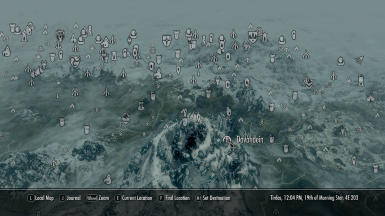 Mod works as intended, so don't expect any updates. 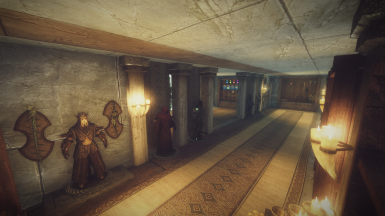 I don't develop old mods any more. 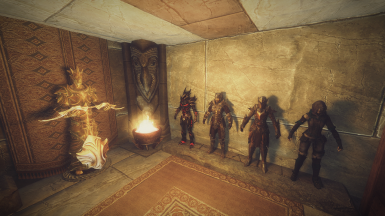 A storage vault hidden away in The Throat of the World. Only accessible with Clear Skies shout. but also storing them near ordinary people and loved ones goes against their moral code to an incredible degree. 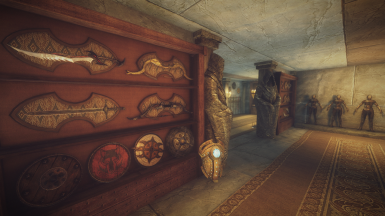 as many of the existing vault mods are.) I'm looking for something small, protected. A hidden cave or concealed ruin maybe. to keep them out of the hands of the people they protect on the daily. spouse sweep the floor in front of the Masque of Clavicus Vile." The vault key can be found on a skeleton near Paarthunaax's perching place. 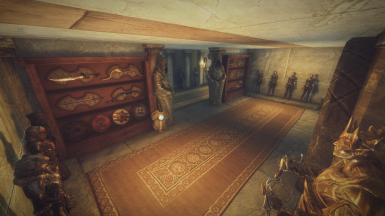 Clicking the key in your inventory will lock the door to the vault. It's also surrounded by those freezing winds you need Clear Skies for, so not easy to get to! 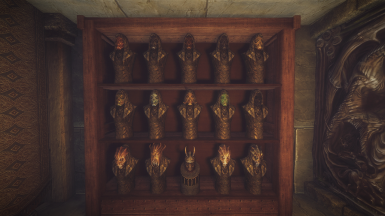 Inside you will find 8 mannequins and 8 basic weapon plaques, 6 weapon racks and 3 shield racks and some cupboards and chests, all these for generic loot. 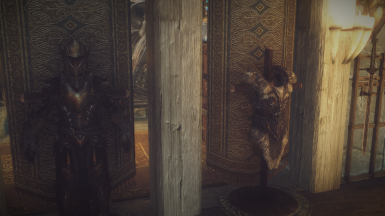 The Thieves Guild display works a bit differently. 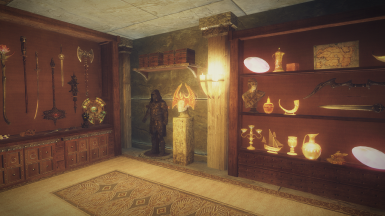 It's linked to the items in the Cistern, and they will be activated as you progress in the Thieves Guild. 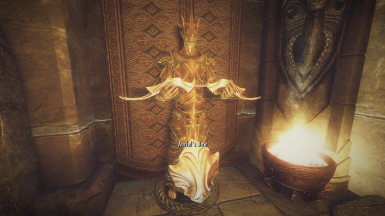 The only items you need to put in yourself are the Nightingale Weapons, armour and Gallus' Journal. 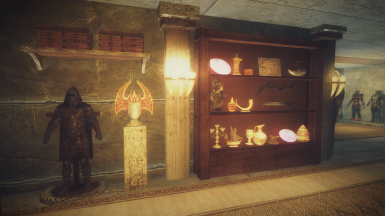 The TG display includes all the small job trophies, the crown of Barenziah and the Litany of Larceny items you sell to Delvin. 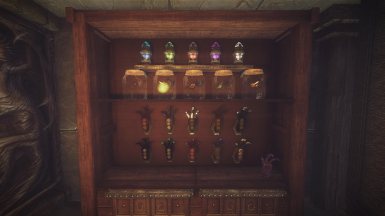 I don't know if they will be activated if you use this on an old save where you have picked up those items from the guild HQ. 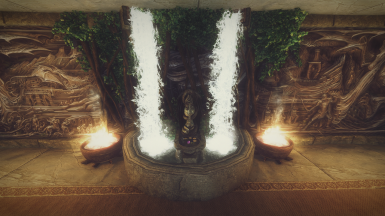 The last feature of the mod is the shrine to Akatosh. 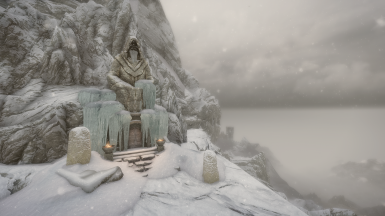 You can pray at it and it plays a prayer idle animation. 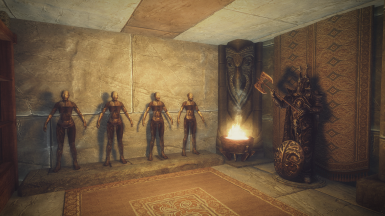 It's just a basic Akatosh shrine though, part from the added idle feature.